Dr. Nima has dedicated his career to the beauty and art of facial aesthetics, and has many notable achievements that testify to his expertise and commitment to the highest quality patient care. Dr. Nima Shemirani grew up in a family of artists and found himself drawn towards the field of medicine in college when he recognized that biology is an equalizer. “Underneath the microscope, we are all the same: we are merely human without color, race or religion.” This personal revelation spurred a deep passion, and Dr. Nima applied to and excelled at the prestigious Medical School of Wisconsin where he also completed his Otolaryngology (ENT) residency. Dr. Nima then secured a greatly-coveted fellowship with the globally-respected Glasgold Group in New Jersey, where he trained under some of the best plastic surgeons in the world. 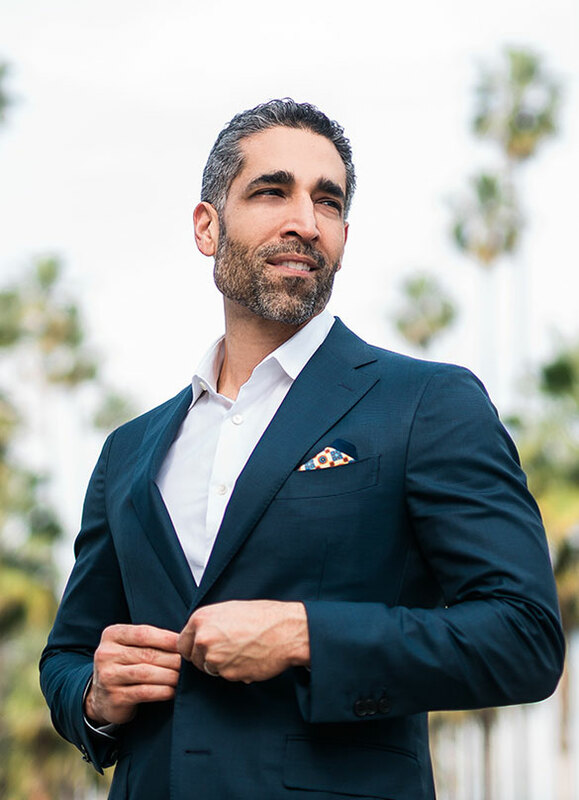 With a luxurious office and Medicare-certified (highest certification) surgery center in the heart of Beverly Hills, Dr. Nima offers individualized and artistic results for his patients, specializing in facial plastic surgery (i.e. rhinoplasty, facelifts, brow lifts, earlobe reduction, etc. ), ENT (ear, nose and throat procedures) and non-surgical facial enhancements (i.e. lip augmentation, non-surgical rhinoplasty, injectables, etc.). Beyond his impressive credentials, Dr. Nima has developed a compassionate sensitivity to his patients’ needs and fears. He takes the time to really listen to them and collaborates with each one to develop a highly personalized approach that directly addresses not just that patient’s particular issue but also takes into account the individual’s personality, sensitivities and concerns. He creates a warm atmosphere where his patients feel safe, secure and nurtured. For Dr. Nima, the field of facial plastic surgery offered the perfect opportunity to “marry” his intertwining passions – art and people – with his extensive medical knowledge. With that in mind, Dr. Nima secured a coveted fellowship at the world-renowned Glasgold Group in New Jersey, where he honed his craft alongside some of the world’s best plastic surgeons. Dr. Nima has been honored in RealSelf’s Top 100 list for the past 3 consecutive years, firmly placing him among the top 2% of the 6,000+ member RealSelf community. They say the best recommendation is a satisfied customer and Dr. Nima’s patients have clearly spoken! It is no surprise that among his many prestigious awards, Dr. Nima was also voted “One of America’s Most Compassionate Doctors” (Patient’s Choice Awards 2011) and “One of California’s Favorite Physicians” (Patient’s Choice Awards 2012). At Eos Rejuvenation, we provide a nurturing and highly personal approach to our practice, combined with a commitment to serving your individual needs with the highest level of care. 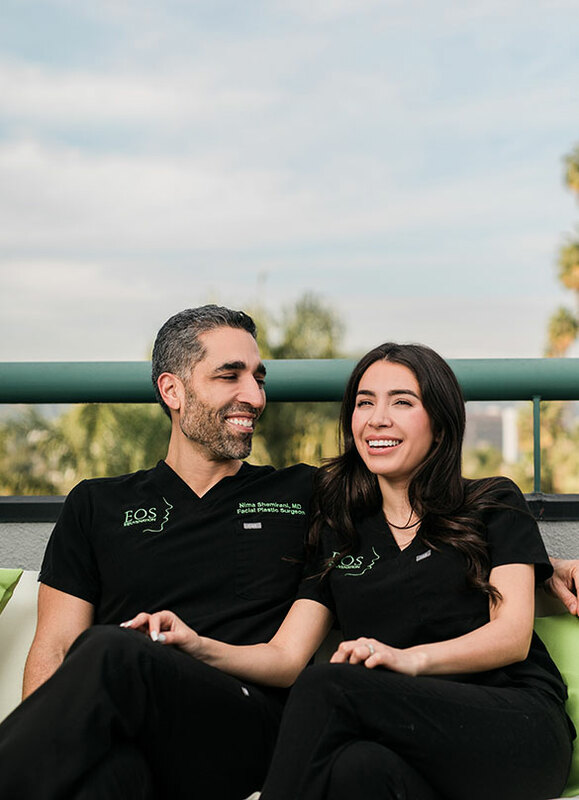 Once you become a patient of Eos Rejuvenation, you become a part of our extended “family.” And you can imagine how dedicated a staff tasked with attending to family might be. And like any family member, our patients are multi-dimensional. They are parents and children, teachers and students, professionals and artists; they are the products of infinitely varied backgrounds. Dr. Nima passionately believes that building a team of well-rounded, open-minded employees will serve to elevate the Eos Rejuvenation patient experience far above what can be expected at other similar practices. And it is not just a passion for education that Eos Rejuvenation employees embrace. Dr. Nima’s philosophy, ideals, and passion permeate every corner of the practice. There is no greater reward for Dr. Nima than a truly satisfied and happy patient. It is what drives him to continually enhance and improve his practice so that his patients always receive the highest quality of care with the best and most satisfying results possible! Contact us today to meet Dr. Nima and discover what he can do for you!